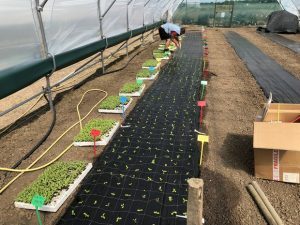 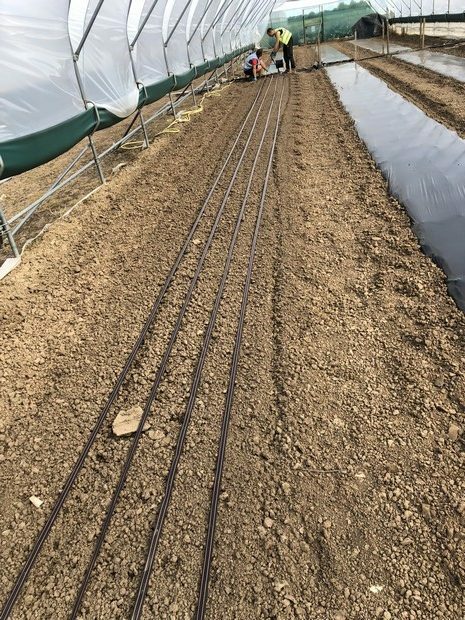 This week we planted the Fusarium column stock variety trial in the Haygrove tunnel using the full range of commercial varieties available from the Florensis who are the main supplier of plugs to the UK. Owing to the well publicised downy mildew issues, other propagators were not included in this years trials. 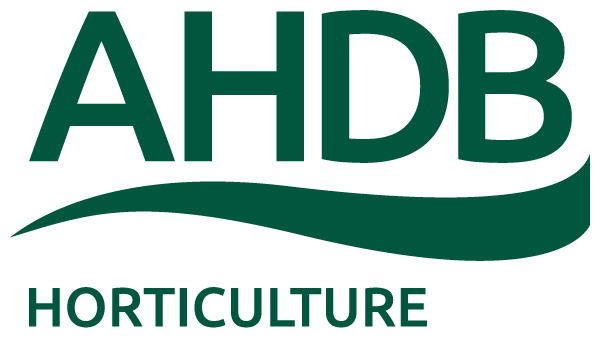 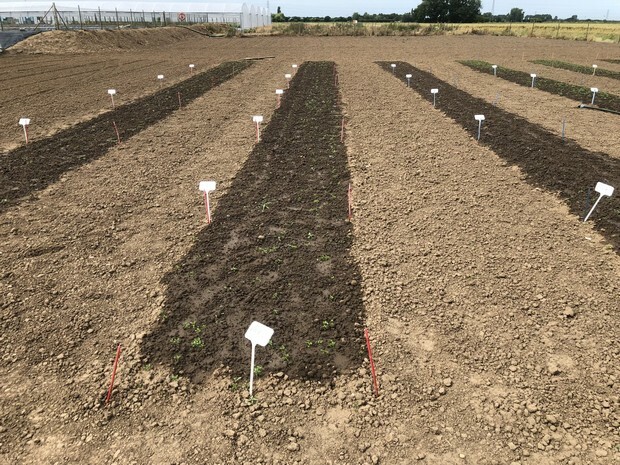 Last year the small unreplicated trial indicated that the new Mathilda range may be less susceptible to Fusarium than other varieties and this years fully replicated trial will demonstrate if this is in fact the case. 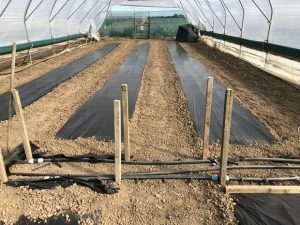 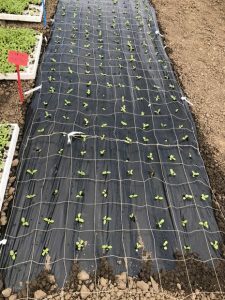 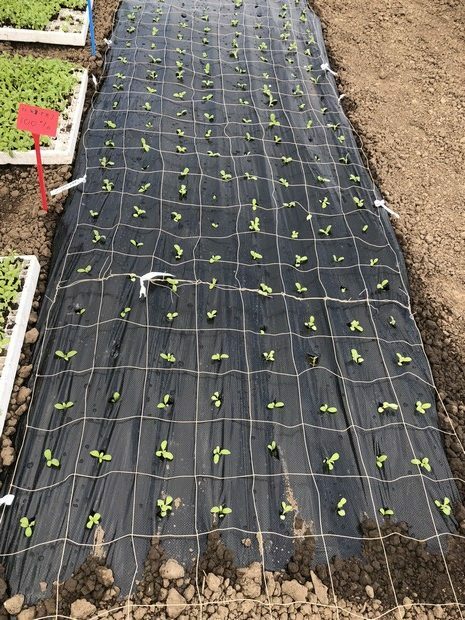 Owing to the high weed pressure in this tunnel (due to it not being sterilised for a couple of years) the decision has been made to plant the trial through polythene mulch in an attempt to suppress the weed growth (see photos below). 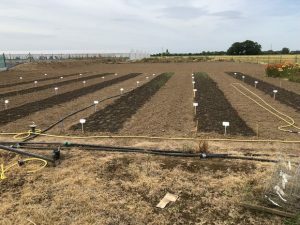 The larkspur (and weeds) are just starting to germinate in the larkspur weed control trial although the current drought conditions are necessitating a lot of hand watering to keep the beds moist in order to maximise the germination and get the most from the trial.